A new eye-opening warning for men of heavyweight has come in the form of a study led by Aurora Perez-Cornago, Ph.D., a nutritional epidemiologist with the University of Oxford in the United Kingdom. According to their preliminary findings, the heavier the man, the more chances he has of developing an aggressive form of prostate cancer. The study took into account information from 141,896 men in eight European countries. 7,024 of these men developed prostate cancer in an average of 14 years of follow-up. Among these, 726 were diagnosed with high-grade cancer and 1,388 with advanced stage cancer. A total of 934 died from the disease. Research showed that every additional 4 inches on a man’s waist translated into a 13% higher chance of developing high-grade prostate cancer and an 18% higher risk of dying from the disease. The same correlation was made for men of a grander stature: every additional 4 inches of height resulted in a 21% increase of a high-grade prostate cancer diagnosis and a 17% increase in the chances of dying from prostate cancer. Unfortunately, the height of the patient cannot be controlled, but the number of kilograms/pounds can be brought back to a safer value. There are several other studies that correlate a large number on the scale with an increased risk of aggressive prostate cancer. The degree of severity has been defined in various ways – as a risk of dying sooner, stage of the disease, etc., but all correlate to a poor prognosis for the patient. This is very big news. When you think of obesity, you associate it with high blood pressure, cholesterol, diabetes. But now we see that obesity results in very aggressive prostate cancer. This also comes from a study from the American Society of Research, that looked into over 191,000 patients with prostate cancer. The results we are seeing are that obesity has some association with aggressive prostate cancer. How does this happen? We know that the visceral fat, the fat inside the body when it’s around the prostate, it can secrete some sort of hormones that can feed those tumor cells. The fat itself can increase hormones such as leptin or insulin growth factors, that can increase cancer. We’ve seen a little bit of this in breast cancer, colon cancer and now we see obesity and prostate cancer going hand in hand. It’s a game changer because of all the controversy surrounding the PSA screening. 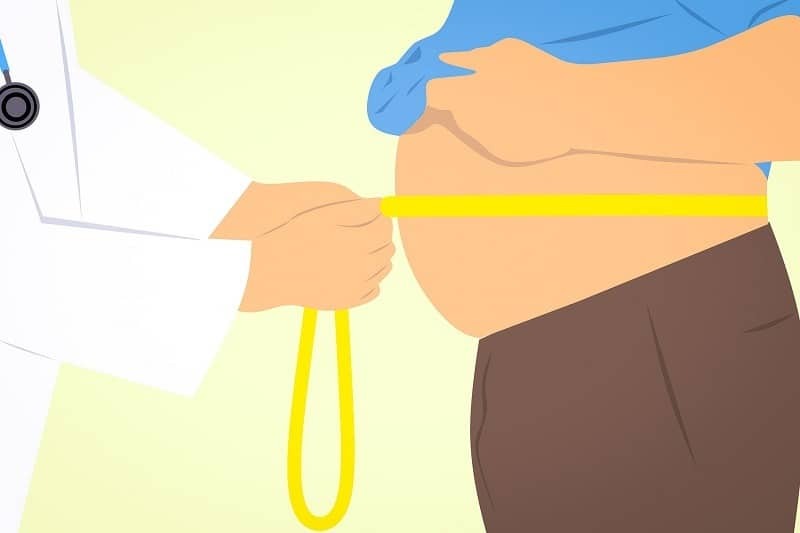 Perhaps now, urologists, besides looking at being African-American, or at the family history of prostate cancer, will look at obesity as also one of the risk factors when deciding to advice their patients to get a PSA screening. The study took into account a numerous number of patients and the worrisome aspect is that it’s advanced prostate cancer that they’re finding in obese men. It’s crucial to diagnose the disease early on so that the treatment is carried out sooner. When patients with a high BMI present to the urologist, testing for PSA should be one of the first steps in assessing the man’s overall health. As long as there are no urgent risks for heart disease, the patients are advised to make adjustments to their lifestyle, rather than use drugs to lower cholesterol levels. Exercising is crucial, cutting down high cholesterol foods such as dairy, limiting carbohydrates intake and taking on a diet based on fruits and vegetables should be the first step in controlling the weight issue and limiting risks of developing dangerous diseases. Get rid of sugar, exercise in the morning, eat less, drink more water, coffee, smaller portions of carbohydrates. Sleep longer, because 7 hours of sleep are absolutely important. Drinking coffee also boosts your metabolism.